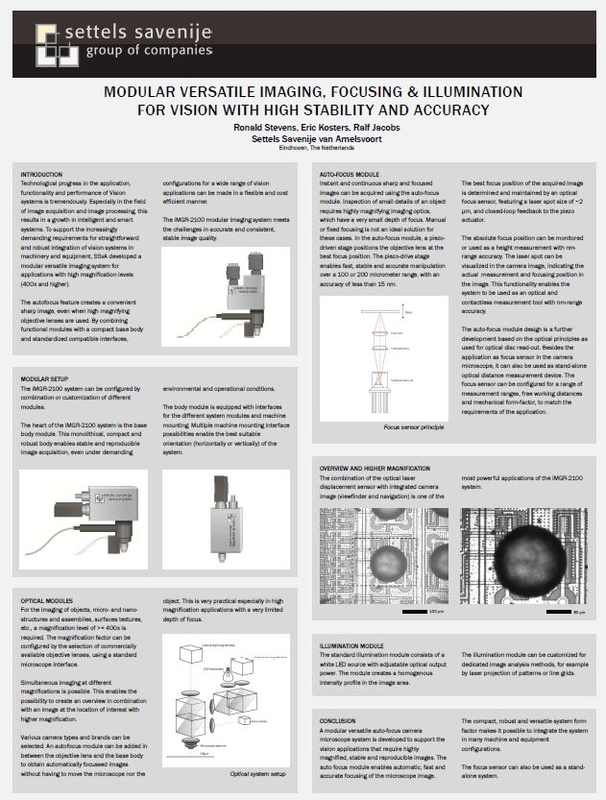 2016-04-13 SSvA introduces an imaging system for applications with high magnification levels. This was first announced @ the ASPE conference in November 2015. Technology advances fast in the application, functionality and performance of Vision systems, especially in the field of image acquisition and image processing. This results in a growth of intelligent and smart systems. 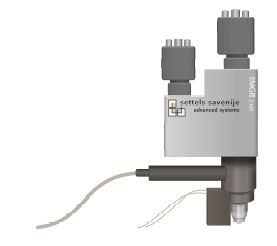 Settels Savenije van Amelsvoort has developed an imaging system for applications which require high magnification levels in very demanding environments. The modular and versatile system setup makes straightforward and robust integration of vision systems in machinery and equipment possible.